Before we launch into the jokes about the minds of the members of Congress, let’s clear something up. I’m into reading tea leaves but I’m not a mind-reader. However, it’s a fun sport. I don’t know if Congress meant to say that ObamaCare subsidies would be applied to all citizens regardless whether their states established an exchange, and just wrote something else. Stuff like that happens. Let’s also ignore that Congress, even considering Mark Twain’s assessment of the value of the collective wisdom of its members, has access to far greater minds than those whose names appear on the ballot. Congress calls upon fine academic minds to help craft the laws that govern us. Why Did Congress Make a Wording Mistake Like That? This is where I go from tea leaf reading to mind reading. Let’s say that I am writing legislation, and I want to force the states to establish exchanges and run the health exchanges, and by extension, expand coverage to people who can’t presently afford it due to indigence thereby expanding Medicaid which is partially funded by the states (are you following this? ), then I need to put pressure on the states to establish the exchanges. So, I require that in order for each states’ citizens to be eligible for the subsidies, the states must establish an exchanges. I don’t want to run this behemoth. If the state does not establish an exchange, its citizens won’t be eligible for the subsidies so, I reason, the citizens will force their states to participate. The states will feel political pressure to play. Unforeseen by me, as I’m writing this law, is that the law itself will be so unpopular that citizens and state legislatures don’t want to play this game. So, they punt and let the feds run it. Which leads us to the current problem. Uninsured and indigent are signing up by the millions. Analysts who know a whole lot more than I do about this say that they will be kicked back off the health insurance rolls if the subsidies dry up. That outcome can result in a humanitarian crisis. Can the United States Supreme Court let that happen? Is it the job of the United States Supreme Court to worry about what happens to the victims of a poorly crafted law, or is it the job of the United States Supreme Court to interpret the law as written? If the United States Supreme Court decides that the law means what it says, it will be up to the legislature and other elements of society to solve the problem by re-crafting elements of the law or otherwise finding ways to provide healthcare to the indigent. 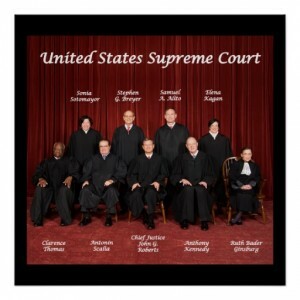 The United States Supreme Court may look at the words written on the page without reading intent between the lines supplied by the defendant. It is the job of gadfly bloggers like me to read intent between the lines, speculate on motives, and just plain try to read peoples’ minds. 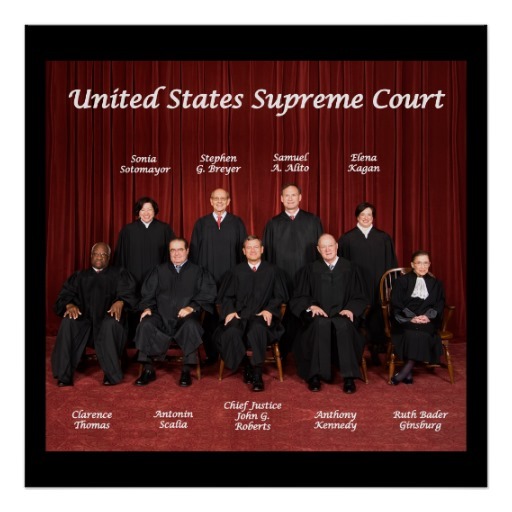 The United States Supreme Court is held to a higher standard. DISCLAIMER: This article relies on public reporting from news sources and healthcare analysts. This blogger has not read the law itself, nor has accessed the actual data regarding the composition of the population that has enrolled in the ACA through the state and federal exchanges.